Sunday marked the United Nations’ International Day for the Elimination of Violence Against Women. 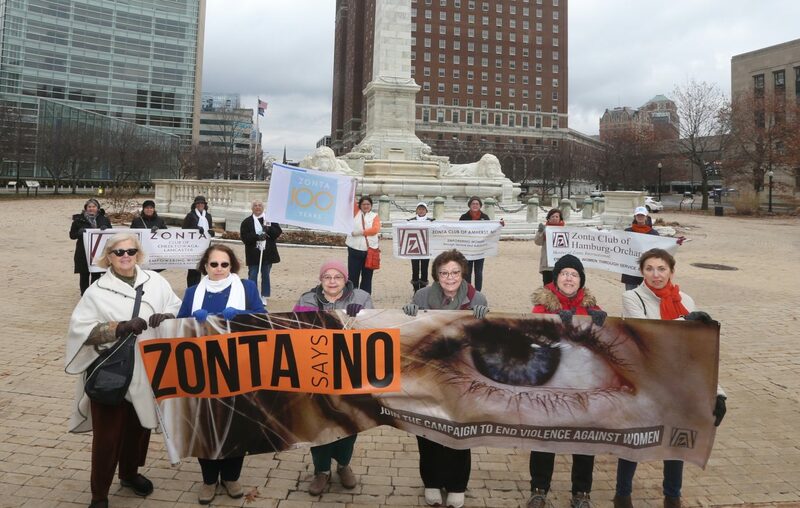 At Niagara Square, the Zonta Club of Buffalo hosted a gathering to commemorate the occasion and launch its annual “16 Days of Activism against Gender-based Violence” leading to Human Rights Day. The international organization, which was founded a stone’s throw away at the Statler Hotel in 1919, used the occasion to also mark its 100th anniversary next year by hoisting a Centennial Flag. But the main focus was on the issue at hand. Clesse ticked off a number of issues that plague women and girls. She mentioned the need for girls to be given an equal education in countries around the world, and ending child marriage, including in the United States, where many states don’t have a minimum age for marriage, resulting in girls marrying older men. Clesse also spoke of the sexual violence that confronts migrant women, an issue even greater now with more refugees on the move than at any time since World War II. “It’s bad enough that they are refugees, but women are even more vulnerable, with little to no protection,” Clesse said. Gina Ann Orsini, who works with members from Hamburg to Geneva, said it’s important that the United Nations annually highlights the issue. “This brings awareness to all forms of violence against women, and more awareness leads to action,” Orsini said. The Peace Bridge and the downtown Electric Tower were lit Sunday in a golden yellow light at Zonta’s request to also bring attention to the problem. 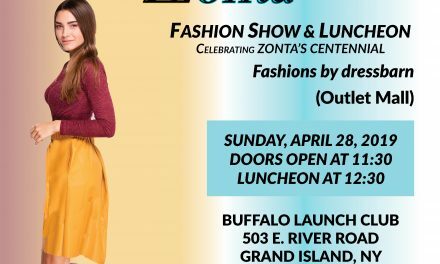 Zonta takes its name from the Lakota Sioux Indian word meaning “honest and trustworthy.” The organization has 29,000 professional women who get involved in social issues through service and advocacy. 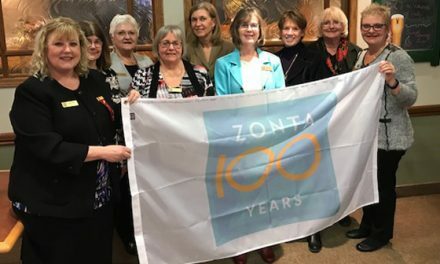 There are 800 Zonta members in an area bordered by Owen Sound, Ont., to the north, Washington County, Pa., to the south, Geneva, N.Y., to the east and Erie, Pa., to the west. “When I see the news or read the newspaper, I realize how thankful I am for our wonderful life,” Clesse said. “But I also see that other people have things way far worse off, and it’s very upsetting. “I can’t help everybody, I can’t help every single project, but through Zonta and Zonta’s work with the United Nations, I can help not just locally, but worldwide,” she said. Zonta clubs fund more than $5 million in UN projects, Clesse said.